Since I haven't heard from erm in about two years in his thread, I decided to start a new tropical bamboo experimentation thread. I live in Northern California about 30 miles east of San Francisco. Considered zone 9b but barely. 2013 had lows of 23-24F which killed all my young tropicals. Last two winters since then only 28-29F lows. I figured if I could get some tropicals through a mild winter or two they could survive the rare cold spells. 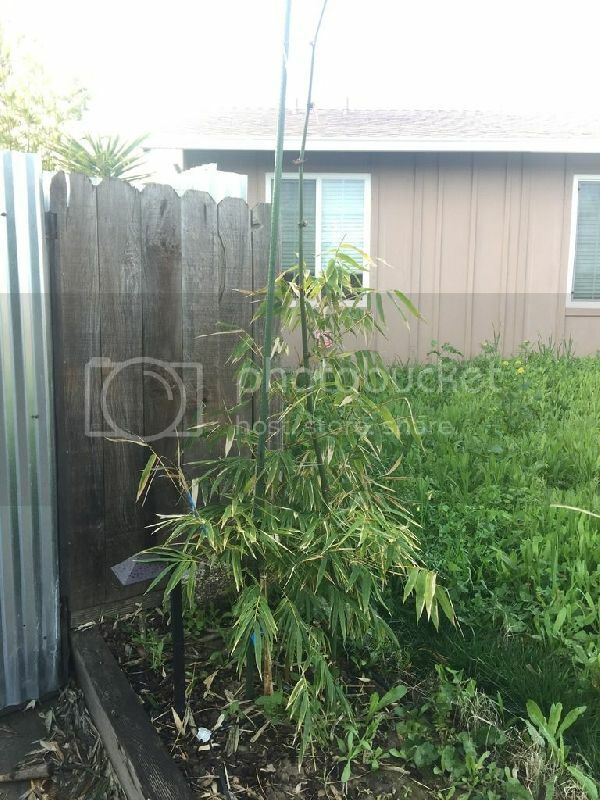 3 gallon plant, in ground. Survived 29F and shipping stress pretty well. 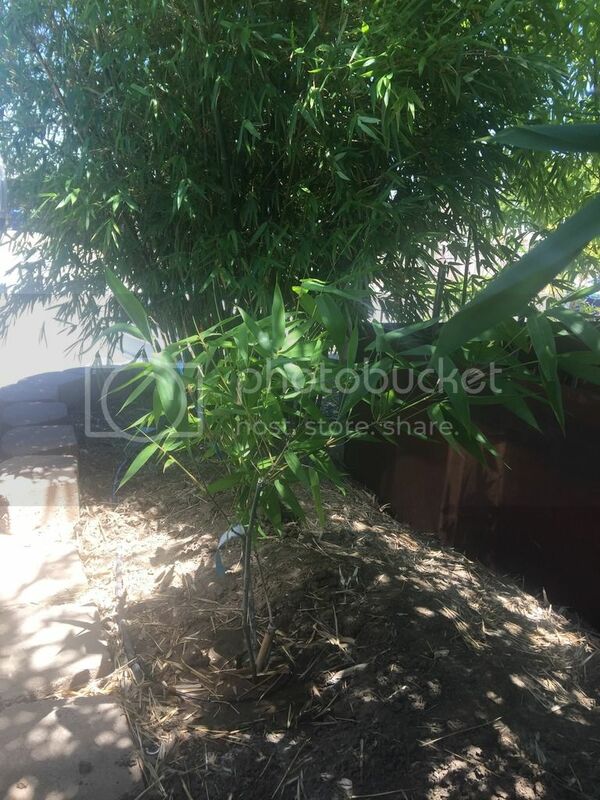 3 gallon plant, in ground. Lost all leaves (except 2 still hanging on and green) at 29F, but was in bad shape from the shipping so hard to tell what caused it. The leaves actually fell off so not sure it was even burned. 3 gallon plant, in ground, lost some leaves through shipping stress, but the remaining few still are light green. The 29F didn't seem to affect it. 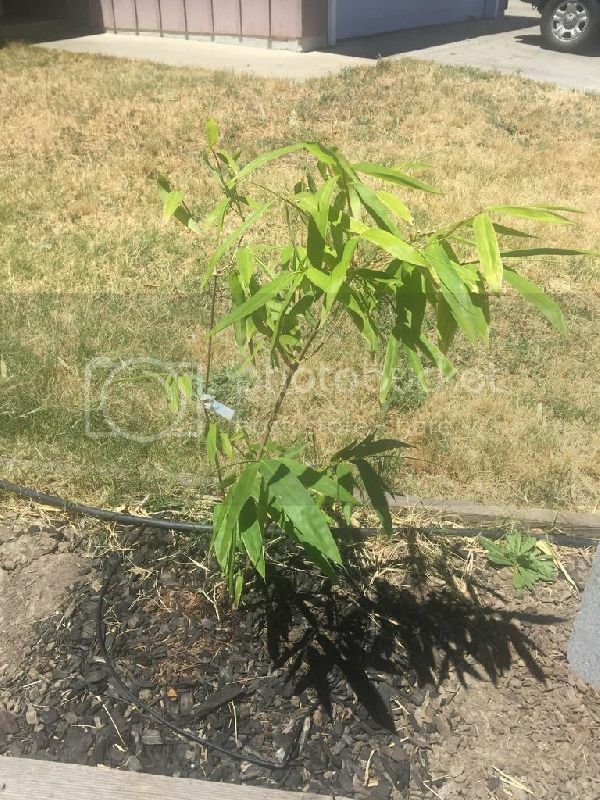 3 gallon plant, in ground. No leaf burn at 29F. 3 gallon pot. Hasn't seen sub 40F yet. Next winter will test it. 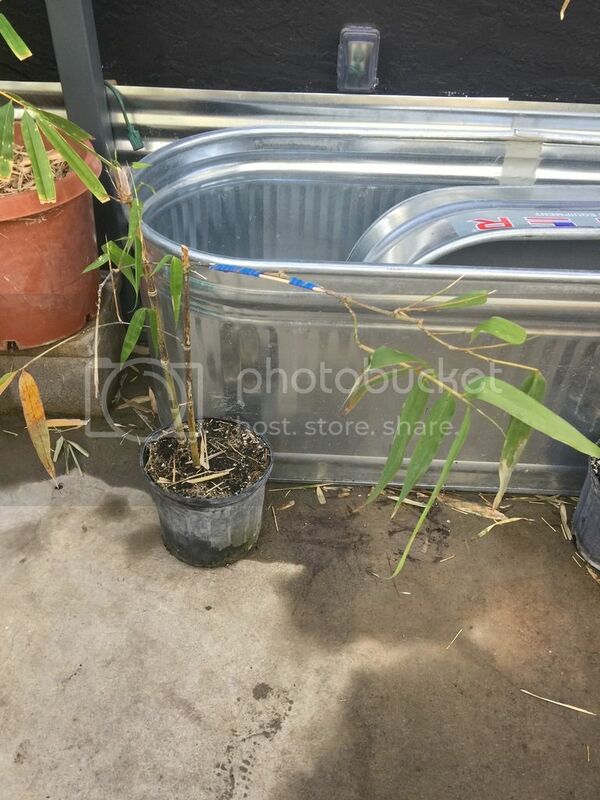 25 gallon pot. Only survivor from 2013 cold spell. Suffered complete top kill then so I dug it up and potted it. In two years hasn't sent any full culms up, just a few aborted ones. Came through this winter without any leaf burn and looks pretty good! Still only about 3 feet tall. Most leaves died during shipping. The few remaining ones eventually died as well but doesn't seem like the 29F killed them, they just slowly shriveled up weeks later. 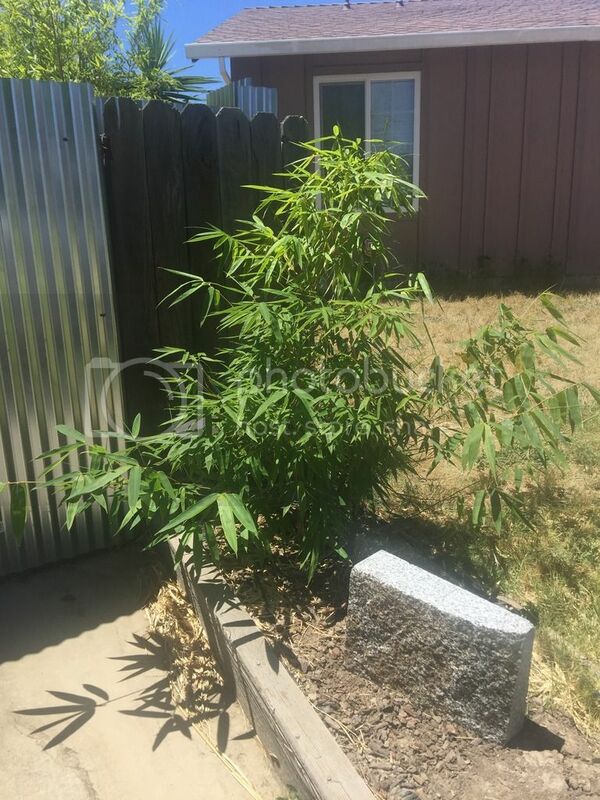 3 gallon plant, in ground. Sent up two shoots late fall about 6 and 8 feet tall, both survived but did experienced some leaf burn at 29F, most leaves survived fine though. Young branches died. 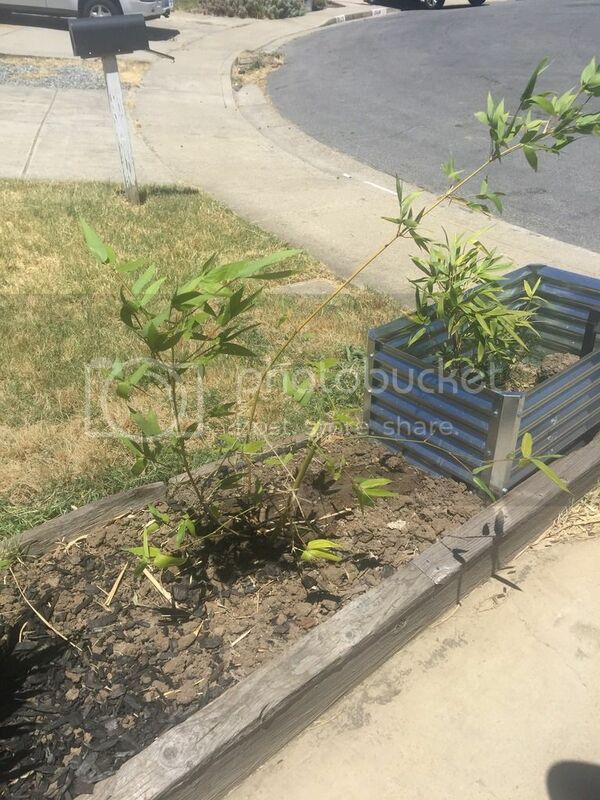 3 gallon plant, in ground. Sent up two shoots late fall 5 and 7 feet tall, both survived 29F. No leaf burn, even young branches are okay. Also planning on picking up a Dendrocalamus tibeticus in may. This one looks promising for cold temps and big size. Allegedly good for perhaps 15F and gets 75 feet tall and 7 inches diameter in higher elevations in Tibet. This winter so far was very mild with a low of 29F and less than 10 days below freezing. Hopefully most of these will spend the summer getting established and ready for next winter. I will not attempt to protect the above ground growth on any of these. Just let fate decide. I will update the thread periodically with pics of their growing progress. Last edited by I_am_Ian on Wed Dec 20, 2017 4:19 am, edited 7 times in total. My kind of guy. I also like hardiness challenges like that. 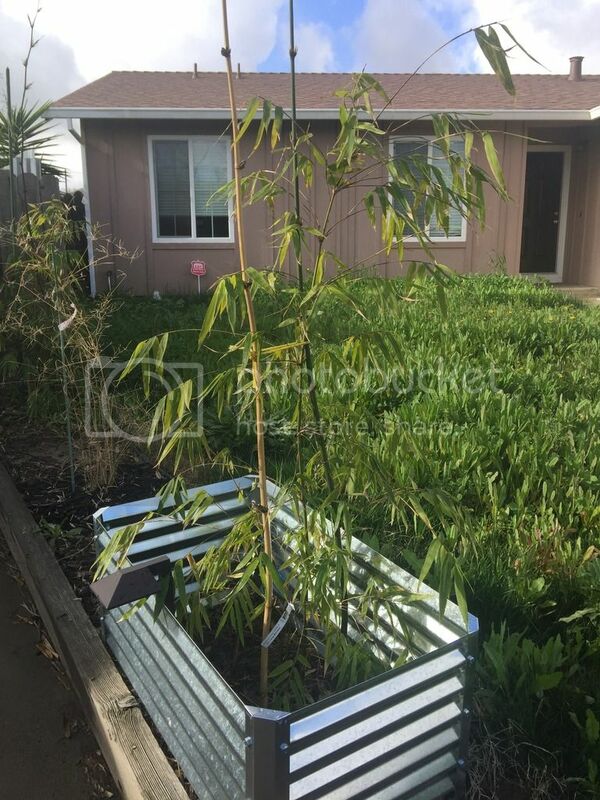 Good luck, if they make it, these will be great looking bamboos. I think you can lose their top growth like once every 5 winters, but they should be strong enough to fully recover within a year or two. I had an Otataea Mayan Glauca totally defoliate at that 29F, no new leaf growth yet. Same for Chusquea ? forget the name right now. Both had long slender grassy leaves like O acuminata, makes me wonder if there is any hardiness association with that characteristic. Tarzanus- I'm hoping you're correct. Luckily my area is immune to really bad freezes unlike more tropical areas like the south, or southern Texas. 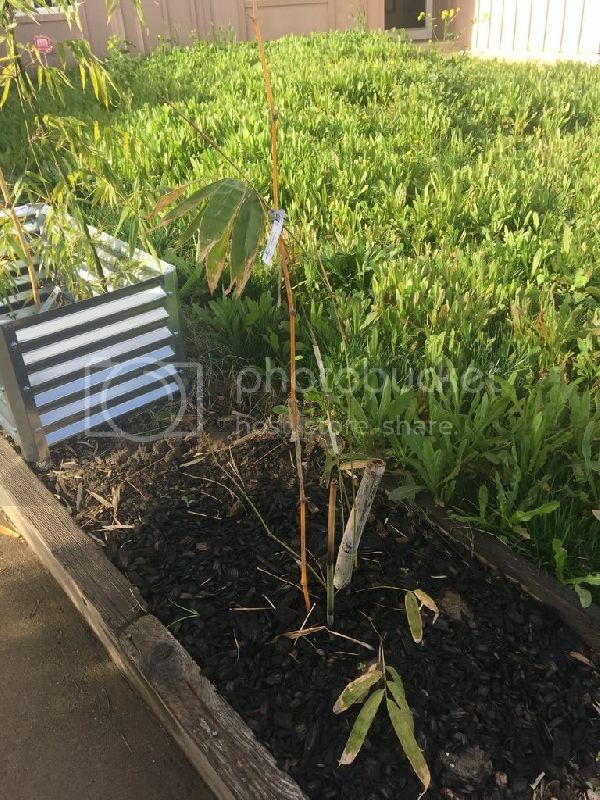 needmore- I have an Otatea acuminata, and it didn't suffer at all. I tried a chusqea culeou and valdiviensis. Both seemed to thrive in the spring but by the end of summer they both died. Guessing the heat is too much for them. Other chusqeas are too sensitive to cold so I'll probably not try any more of them. It's too bad because it's a fascinating species. 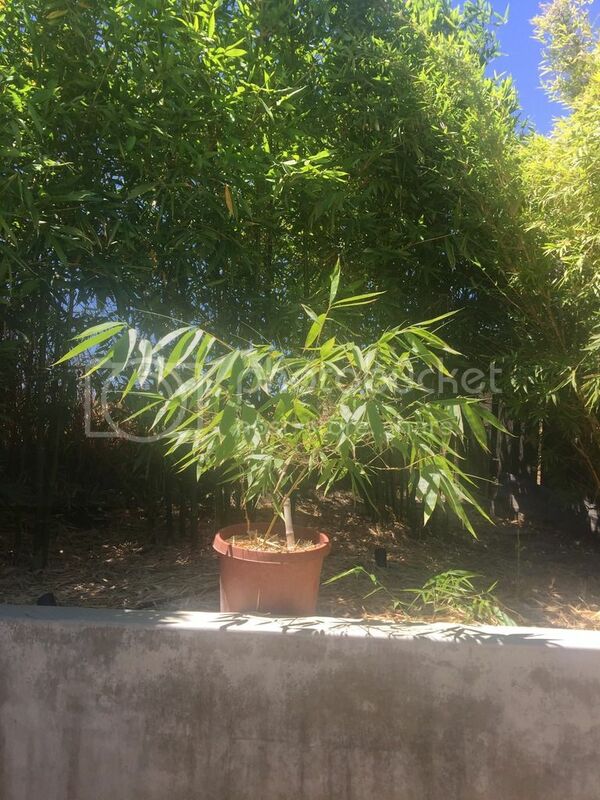 There is very little information on tropical bamboos growing in our climate so I will share as much as I can here. 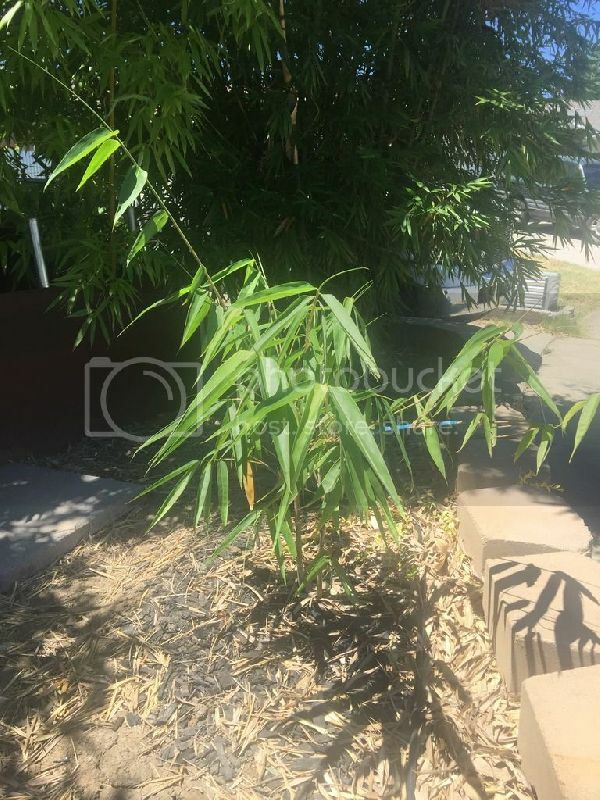 Please feel free to share any info you have since moving to California with your attempts. I'm mostly container growing, on 2 nights last winter I pulled the Parker Giant, and my two yellow forms of bambusa into the unheated garage. 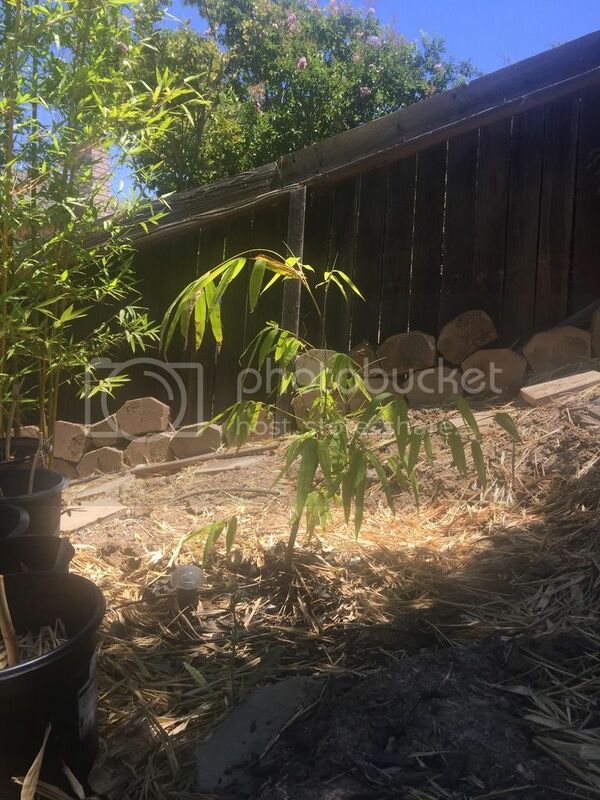 I have many montane forms that I really hope to keep cool enough this summer, some I had last year and they were fine but now I have 5 Chusquea I believe so we'll see. Are you near Vacaville or Fairfield? I'm in Pittsburg. Always looking to trade/sell stuff if you're interested. I had to look up where that is. I work in Davis and am trying to find property within a reasonable drive, likely Winters, Vacaville, Guinda, Dixon etc. I'll keep you in mind, my containers are not full enough to divide yet. Are you sticking with clumping forms? I'm open to anything. I have a few runners I keep in big stock tanks. If you buy property in the valley and avoid the foothills you can grow a lot of nice clumpers. Around Dixon is zone 9a/b like me. 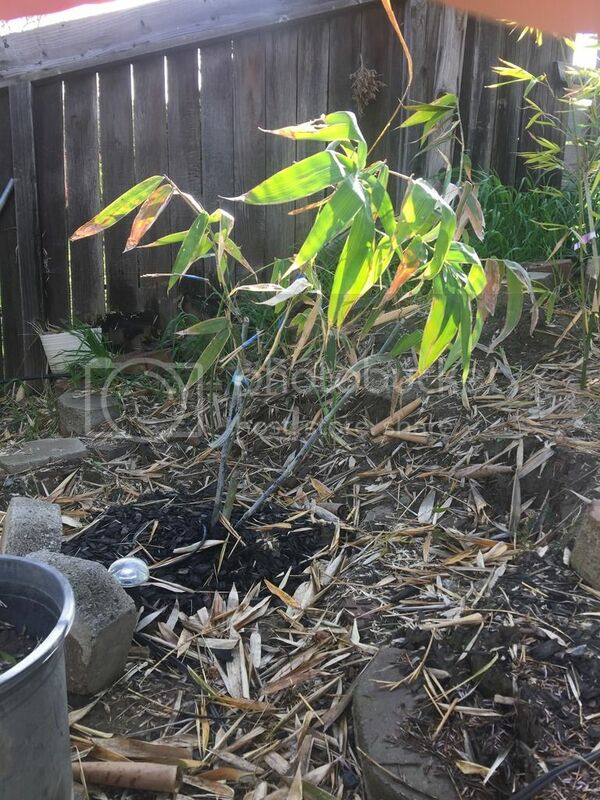 Also there's at least three really good bamboo nurseries in the north Bay Area about an hour or so from us. Let me know what you have when it's ready. Will do. My plan has been to get the species I want filling up containers and then plant big full pots. They will be full by late summer and time to plant or divide them as I'm not going above the squat 20 gal, few squat 30's I've got. Min temp 18 - all textilis do well. I have 3 different varieties growing. Min temp 21 - Chungii, etuldoides viridivittata, malingensis, oldhamii, clone x, ventricosa and venticosa kimmie. All doing great. Have had mixed results with chungii in the past but current plant is doing well. Min temp 25 - dolichaclada, pervariabilis viridistriatus. Have good experience with these. May really be min 21 plants. The doli's seem very hardy. They may really be in the 18 to 21 range. 1) Gophers love all these guys. Wire a must. 2) These guys shoot in winter at coldest temps and highest winds, Prone to damage if not in protected areas. Best to plant in areas that get max sun in winter. 3)Textilis and ventricosa could survive a atomic blast. 4) No luck with any plants with ABS min temp at 30. Had some wamin for a few years but they it out. 5) Have several multiplex plants. Easy to grow. 6) I think I have photos of most of these on the photo section. See Scotts Valley location. I am up at 3000 ft east of Sacramento and it always surprises me how well my Bambusa m. Alphonse Karr does. At my last place it took 14 degrees with only some burn. fall shoots didn't fair well. This year lows of 24 7 times and 25-27 maybe another 15 times and it looks great. My 2 Kanapaha got burned but they are small. one in the 3 gallon has a few leaves . My other is planted has a quite a few leaves but is shooting ( is that normal this early)? has 3 new shoots one was sent up a week back when we had 2 cold nights of 25 and 27 it aborted. Other 2 showed up after so far seem good as its much milder than last week. Chimonocalamus pallets not so good really went down hill last winter. 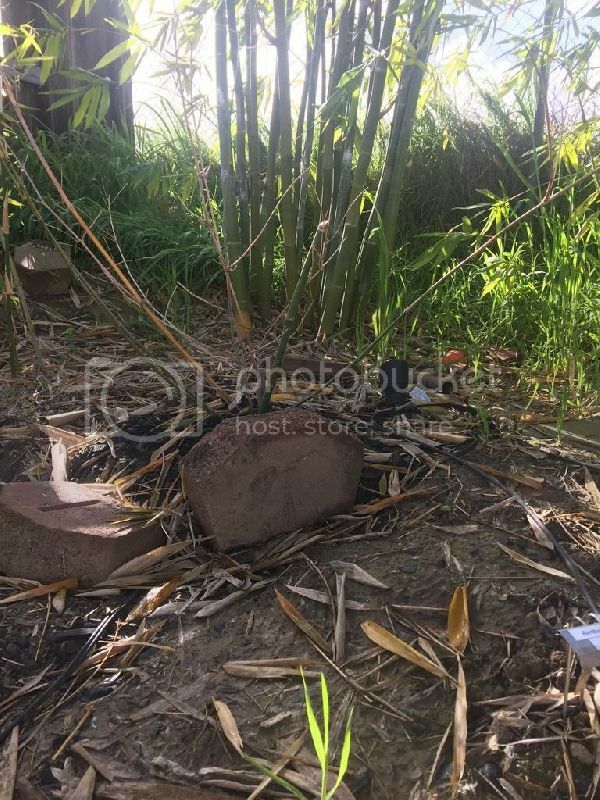 shot a few culms this year. total top kill this last winter. its trying to shoot now but we will see. I really like this one and hear its rated to 10 but thats highly unlikely . I plan on trying to try it again but with a larger plant. hoping for a big division or maybe a 15 gallon. 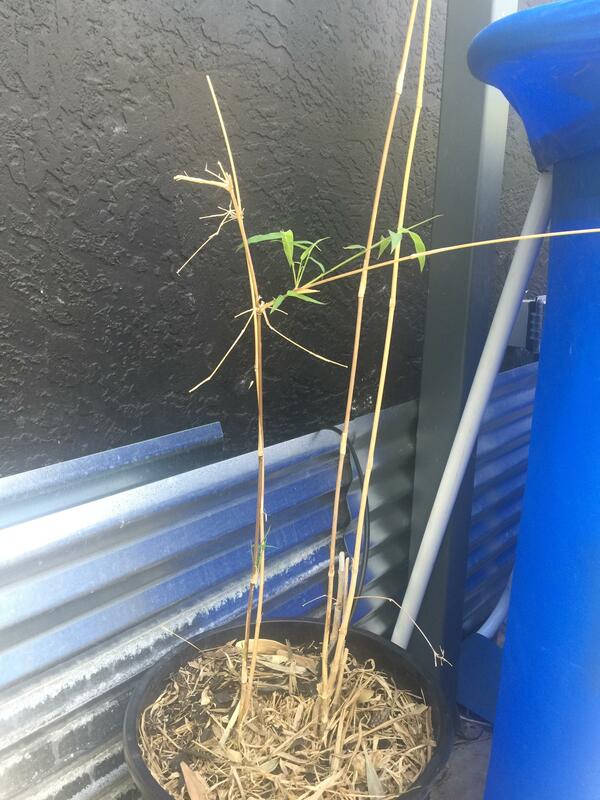 Just wanted to do an update on the conditions of my bamboo before they begin shooting. I moved this one to a new location. Doing well. Looking forward to the upsizing its capable of. I moved this one to a new location. Had no leaves and most of the canes were dead but it recovered well in the spring. 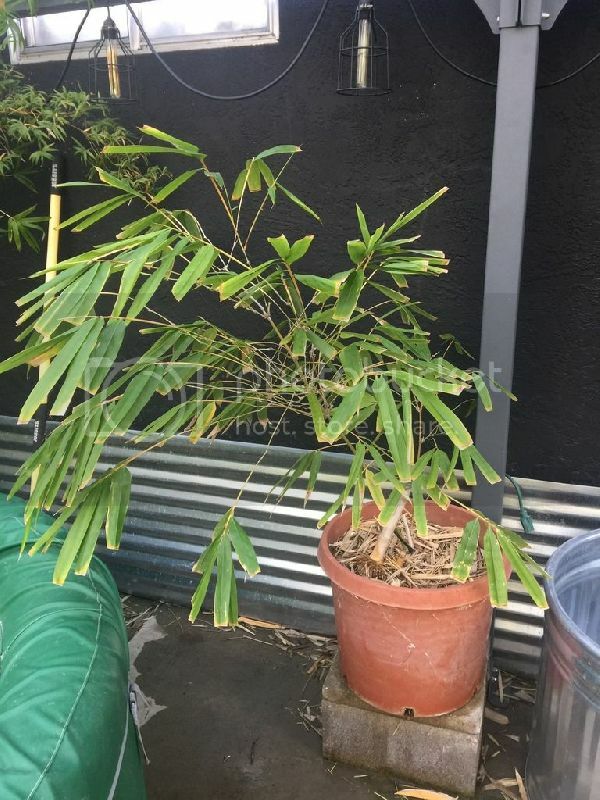 Has interesting short but wide leaves. This one would eventually lose all the leaves, but in the spring it recovered completely. The best thing about this one are the leaves. They are small and delicate, especially for a dendrocalamus. Found a home for this one finally. Survived shipping well, but has not been subject to freezing temps yet. Seems like its going to have huge leaves. Found a home for this one finally. Survived shipping well, but has not been subject to freezing temps yet. Left this one in the pot. I don't have room for it in the ground and I'm not convinced it can tolerate this climate well enough. Nice big leaves of course. Note: The small bamboo in ground next to it is an Ampelocalamus scandens I propagated from a larger specimen I have in a pot. I will be testing this one as well to see if it can tolerate our hot summers. May plant it next to a big bamboo and see how it climbs. I thought this one had died from either shipping stress or the cold, as it looked completely dead until a couple of weeks ago when some leaves grew out of the one living culm. I almost threw it out. I'll leave it in a pot until it survives some freezing temps. This is the bamboo I'm most curious about since it's rare and mature specimens look so good. Leaves are small. 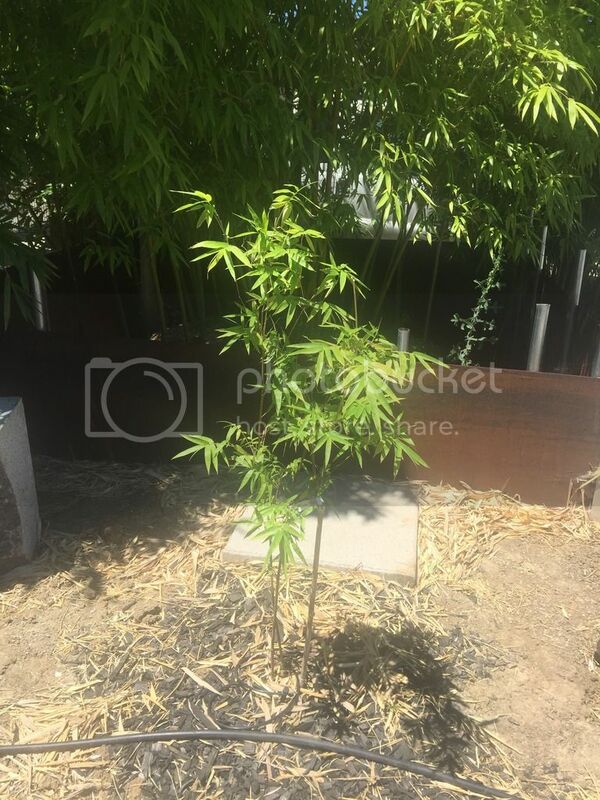 I am unsure about this one as the tall culm died back to about two feet tall and many leaves were burnt at only 29F. I've read it should be much hardier than that but it's still young. It did recover nicely this spring with very long branches. This one seems like a keeper. As a young plant it was able to cope with shipping stress, send up two upsized shoots late in the year and was unfazed by 29F. It's beautiful as well with alternating yellow stripes on the green culms. One of my new favorites. Finally was able to get my hands on this one. It's only been in the ground about two weeks. This one may end up being the biggest hardiest clumper I have. Excited to see what it does here. There is very little information available about it and almost no pics. Last edited by I_am_Ian on Fri Aug 25, 2017 7:38 pm, edited 4 times in total. I wish I could see the pics. 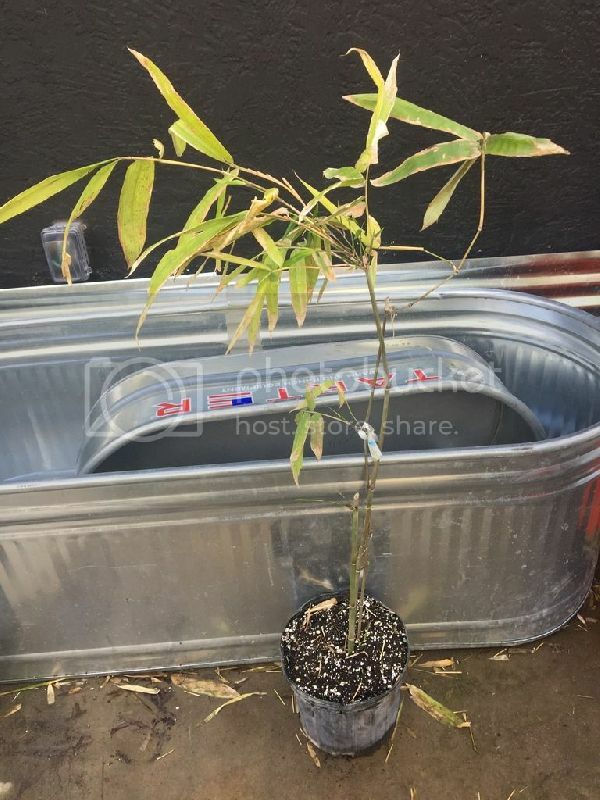 I just got some Dendrocalamus Asper. I am close to you. Would you suggest wintering them inside and putting them in ground next spring or dropping them in now? I wouldn't plant it until early next spring, a young asper will die if we get a cold spell (mid 20's). 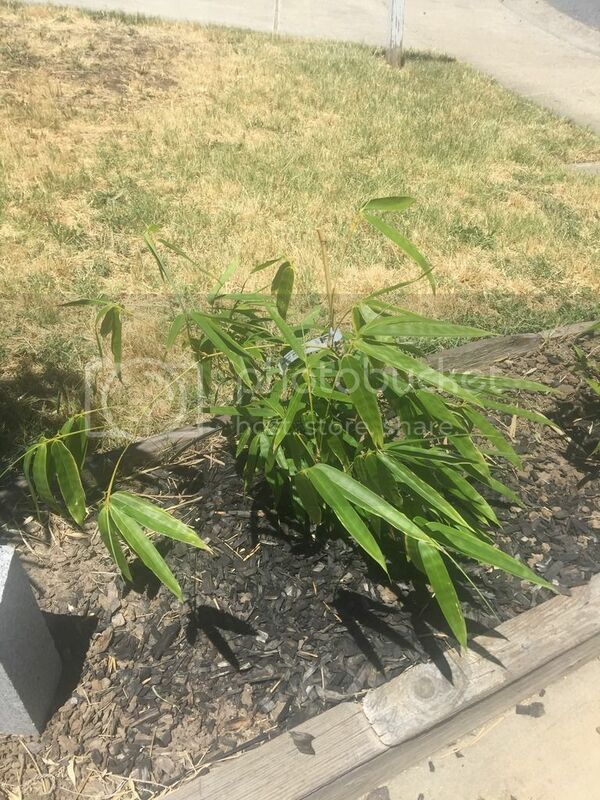 Last winter I tested the hardiness of a couple of Dendrocalamus by burying them in their pots and seeing if they could survive. They have both recovered well but we only got a low of 29F. 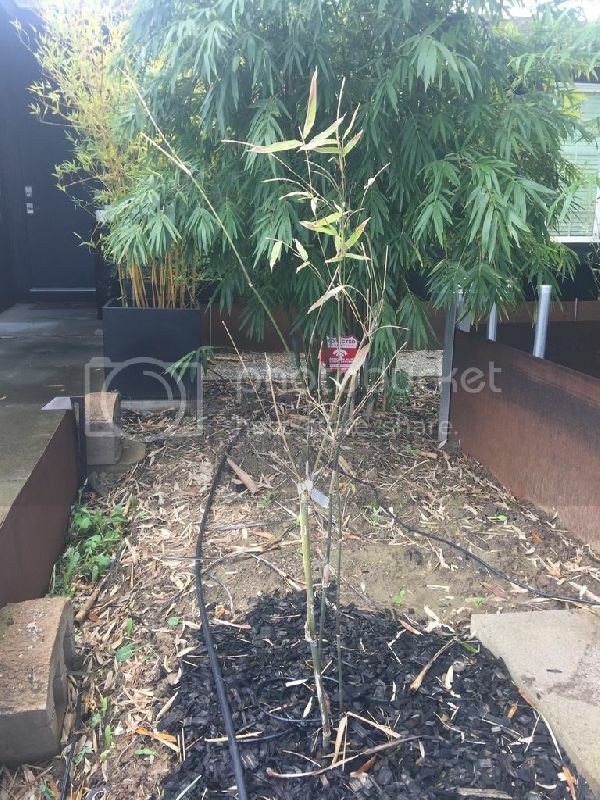 The only way to know how any particular bamboo will handle the cold is to leave it out and hope for the best. If we have a couple of mild winters and they can get established then hopefully they can survive a really cold winter well enough to grow back in the spring. Unfortunately we live knowing there will likely come a year the plant will be killed back to the ground. 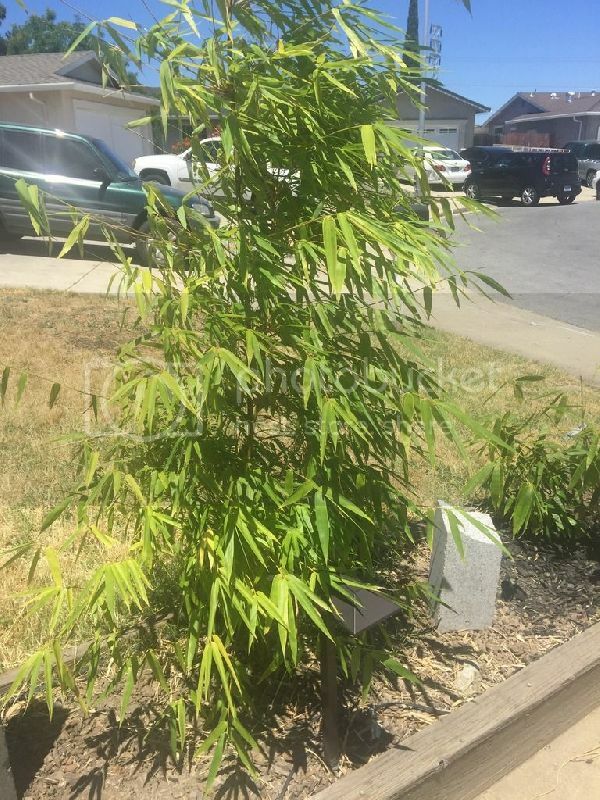 I had a 12' tall Dendrocalamus giganteus that was completely top killed by the 2013 winter. Three mild winters later and it's only about 3' tall. I've given up on that species in the ground altogether. Good luck with your asper. Only plant it in the ground if you think you can protect it well over the winter (easier said than done). Let us know how it goes!